The IWGS Symposium 2016 took place October 25-27(ish) and was centered in the beautiful colonial city of Merida. Merida is a colorful bustling city featuring great plazas, beautiful churches, and tons of culture, shopping, and dining experiences. The hotel for the symposium was centrally located in the city and was where the meetings and presentations took place. However lots of the symposium activity took place outside the hotel exploring the Yucatan. IWGS members came in from points around the globe for this years symposium. The Day 1 arrival to the symposium offered some great networking opportunities as well as time to reconnect with old and new friends. A brief rundown of the symposium “itinerary” was covered by the Master of Ceremonies, Demi Fortuna. Following that was dinner, drinks, and a private concert featuring traditional local music rounded out the evening. The included daily hotel buffet breakfast was fantastic, and Day 2 was underway. Aboard a comfortable bus the attendees made their way to various locations with visits to the Hacienda Sotuta de Peon for lunch, demonstrations of agave processed into rope (shucks, no tequila! ), and a visit to an amazing underground crystal clear cool water cenote for swimming nearly 20 feet underground! Next was a visit to Uxmal, an UNESCO world heritage site. This ancient site reveals some of the absolutely amazing ancient temple structures that dot the Yucatan peninsula. A visit to Choco Story for some late afternoon sweetness was not only good for the sweet toothed attendees, but it had great information and demonstrations to learn more about cocoa. Thank Chaak, for chocolate! A great dinner at a local roadside restaurant with some great local flavors finished the day. Day 3 was up and out early with another visit to some Mayan ruins at Dzibilchaltun, a smaller ruin complex, which also featured some new world ruins, and another amazing crystal clear turquoise blue cenote that was filled with beautiful water lilies and teeming with amazing tropical fish of numerous varieties, and swimming diving in this cenote was all part of the adventure. Next stop was a tour of a tropical fish farm that breeds and grows many familiar varieties of aquarium fish, aquatic plants, and koi. Seeing the inner workings of such an operation was fascinating. A seafood lunch was had at seaside Porto Sisal, followed by a visit to CICY (Centro de Investigacion Cientifico de Yucatan) for viewing of water garden displays, and possibly the Yucatan’s only ecosystem pond utilizing phyto (wetland) filtration technology. A private lecture on the Yucatan’s flora and biogeography was given by CICY’s Dr. Germa n Carneval. 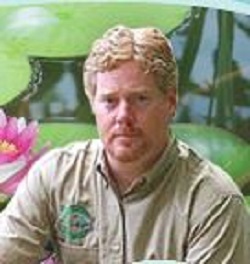 Upon return to the hotel was a quick general meeting of IWGS members and a presentation by Mike Gannon of Full Service Aquatics on “Water Gardening Opportunities with Plants and Fish”; then the annual symposium banquet finished a busy day. All good things come to an end(ish) with the morning of Day 4 “taking care of business” with a discussion, presided by current IWGS President Mike Swize, on the “Past, Present, and Future” of the IWGS and a discussion on phytofiltration, and then some good byes. 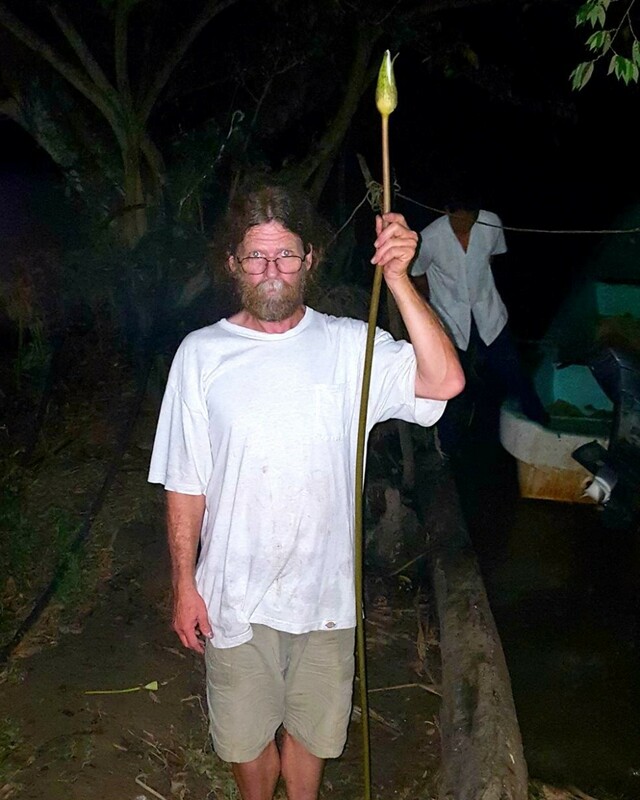 Many attendees stayed on after the ceremonial end of the Annual IWGS Symposium 2016 and created some of their own itineraries with additional visits to nurseries, eateries, time in the field lily hunting, enjoying day of the dead festivities, and spending some time with good friends talking over home made mezcal. Next years symposium 2017 is already in the planning process and will be sure to be amazing! 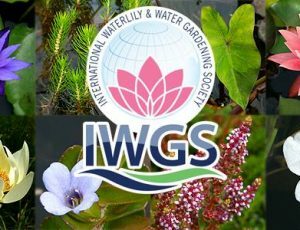 If you would be interested in joining the International Water Gardening Society be sure to visit their website www.IWGS.org to join this most amazing group of water gardeners. You can also visit the IWGS on Facebook and Twitter. Individual memberships for hobbyists are available, and corporate memberships are also available for industry professionals. Join today and start enjoying the benefits of the IWGS.